There’s no cure for seasonal allergies, but there are several natural seasonal allergy remedies for kids that will help you find relief during allergy season. Follow these simple steps to help your kids find relief from sinus and allergy symptoms. When you’re battling seasonal allergies, a great first step is to schedule an appointment with your pediatrician. They might refer you to a specialist to find out exactly what’s causing your little ones to sneeze and sniffle all season long. Once you know what’s causing their symptoms, it might be easier to avoid than you think. If your child is allergic to grass, you might be able to keep them from rolling in the grass (or at least know to bathe them immediately afterwards.) If they’re allergic to leaves, maybe you’ll limit the time they spend jumping in the leaf pile every fall. Your doctor might also recommend some over-the-counter or prescribed allergy medication. Even if your child takes allergy medicine, you’ll probably find that these natural seasonal remedies help the medication work even better. When used in the right concentration, all-natural saline excels at breaking up and thinning mucus. And when used as a saline mist, it can help keep your nasal passages healthy and comfortable when you have allergies, it can help minimize coughing and can even help with snoring. Boogie Mist® saline mist is a saline nose spray just for kids. We call it the “Mist with a Twist” because kids want to use it. The applicator tip, a.k.a. Schnozzle™, is scented in Fresh and Grape scent. We made it for the kids, but we won’t tell anyone if you use it too. Click here to learn how to start a saline nose spray routine for kids. No one wants to stay inside all day, but keeping your home free of allergens will help your child feel better when they are inside. Shut your windows (especially on peak allergy days), and set your air conditioner to recycle the air and avoid bringing in new allergens. Be sure to schedule reminders on your calendar to change your air filters often to keep the fresh air flowing. Pollen settles on everything, and we mean everything. Hair, skin, clothes and bedding are all great places to carry pollen. Be sure to bathe your kids to remove pollen from their hair and skin after they’ve been outside, and don’t forget to wash bedding and clothing often. 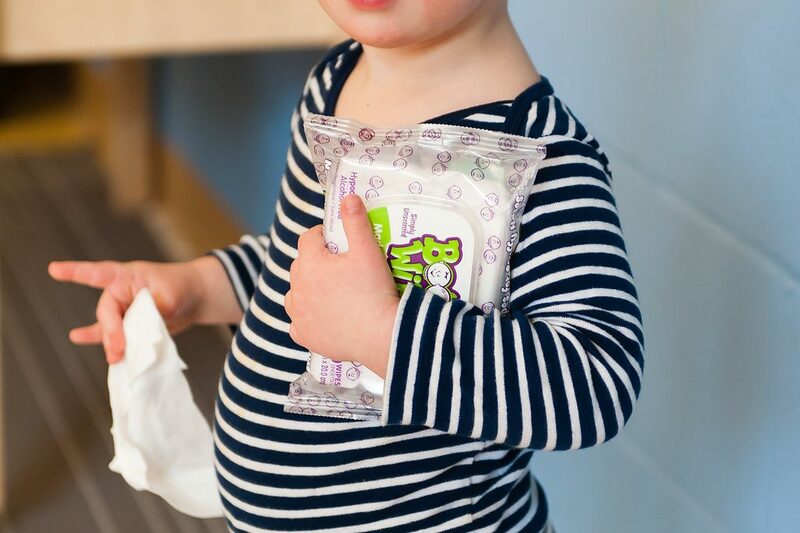 Boogie Wipes® saline nose wipes are great for runny noses, but you can also use them to wipe away allergens from your child’s eyes and face to minimize irritation throughout the day. Looking for more Seasonal Allergy Relief for Kids?